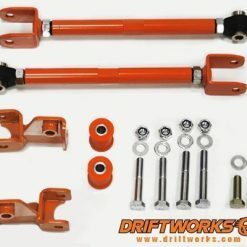 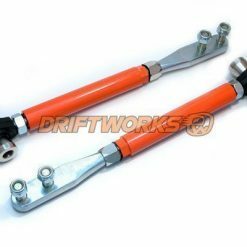 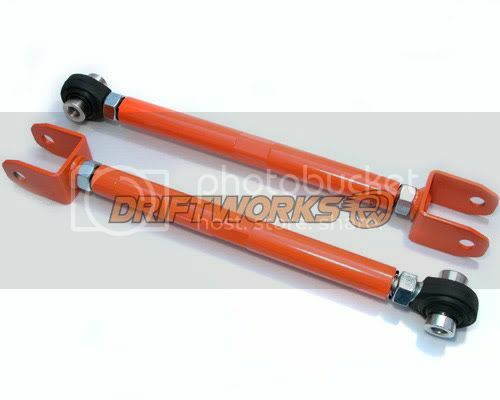 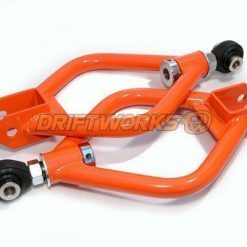 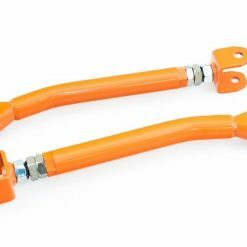 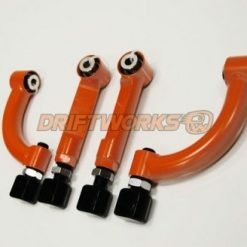 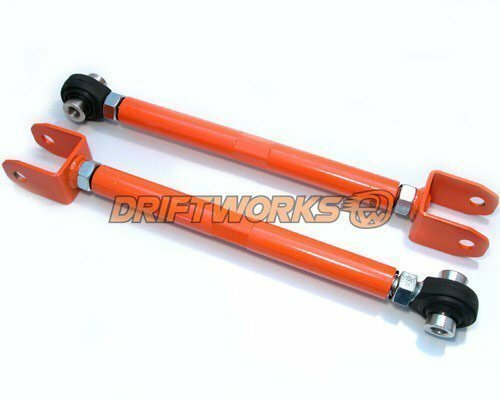 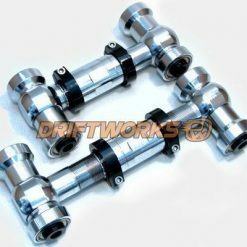 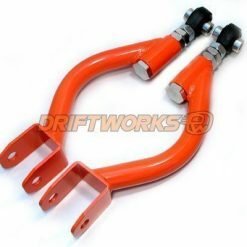 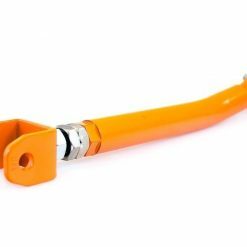 Driftworks adjustable toe rods, again essential when lowering the car, you often go beyond the range of standard toe adjustment causing uneven tyre wear and poor handling characteristics. 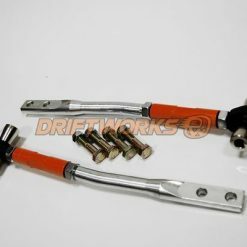 The adjustable toe rods allow you to dial in precise settings for your needs, be it for tyre wear, fast road, track or drift use. 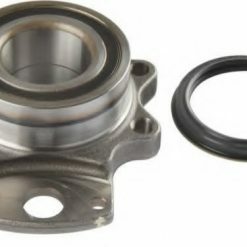 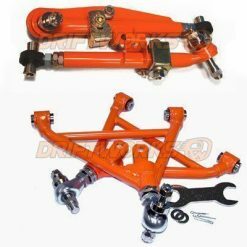 The use of spherical bearings helps eliminate unwanted play in suspension components without any noticable difference in refinement .